DAILY BIBLE STUDIES FROM 2 TIMOTHY 4:9-22 provides a short devotional thought that is easy to read and apply to the Christian life." One of the things that really amazed me when I first became a Christian was the fact that several people were praying for me—people I didn’t even know…were praying for me. Here I was thinking that it was between God and me. No one else knew what was going on in my life at the time. It never dawned on me that people were praying for me…waiting to see if I would become a Christian. At no time did I think it was more than God and me. I hadn’t realized that when I became a Christian, I would become a member of God’s family. I would become a part of the body of Christ—what we call the church. I knew I was a sinner. I knew Jesus died for me on the cross. I knew I needed to accept what Jesus did to become a Christian. I knew those things, but what I didn’t understand at the time was that I would become a part of the body of Christ when I became a Christian. In many ways, I found that exciting. It wasn’t just about God and me. It was more than that. Of course, the church is more than an individual doing his or her own thing. It is a group of people working together with God and each other to see people come to know the truth about Jesus Christ and to see people grow and mature in the faith. And this happens when Christians work together. Paul did not work alone. He worked with many people over his lifetime. Many of his co-workers were faithful. Some were not so faithful. But one was always faithful. Of course, I am referring to God. May we discover the faithfulness of God as we work together to tell people the truth about Jesus Christ! 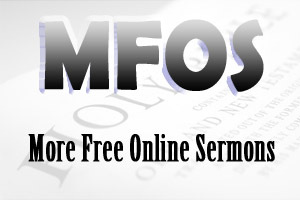 Click here for More Free Online Sermons - More Free Online Sermons or Free Online Sermons. Click here for more information relating to Sermon Outlines - How To Prepare A Sermon Outline.